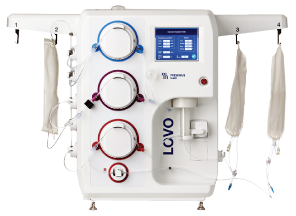 Lovo is the only cell processing system that washes and concentrates white blood cells using filtration technology. 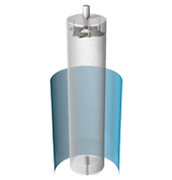 Just a few of the benefits of Lovo’s filtration technology. Smart enough to auto-dilute source product. 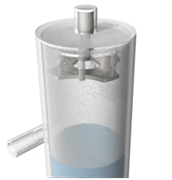 Smooth enough to eliminate cell pelletization. Built for busy labs, Lovo’s convenient benchtop instrument allows you to streamline the labor-intensive tasks of supernatant exchange, volume reduction and volume addition. You can set the parameters for the results you need and let Lovo do the work for you. 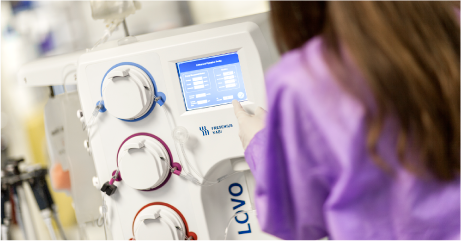 Using Lovo with sterile connection technology there's no need for clean room overhead or serial processing. By isolating source material from the laboratory environment through the use of single-use disposable processing sets with a sterile fluid path, Lovo helps to protect the sterility of your product and allows you to conduct multiple processes simultaneously in adjacent workspaces. Designed for labs that think long-term, Lovo has a blend of flexible, customizable features that meet current needs and can respond to future demand. Whether you're supporting early stage clinical trials or ramping up for commercialization, Lovo adapts with you to get you where you need to go. Built for you, by you. We’re working hand-in-hand with the cell therapy community to create a cell processing system that addresses your biggest challenges. Building Lovo was just the beginning. Our engineers support researchers on the cutting edge of science through active collaboration—an ongoing dialog that improves our technology, furthers your objectives, and helps us all reimagine what’s possible. Fresenius Kabi is a global health care company that specializes in lifesaving medicines and technologies for infusion, transfusion and clinical nutrition. Our products are used to help care for critically and chronically ill patients. The people of Fresenius Kabi are driven by a common purpose to put lifesaving medicines and technologies in the hands of people who care for patients, and to find answers to the challenges they face. 1. 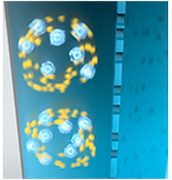 Presented at the 19th Annual International Society for Cell Therapies Meeting, April 2013. Data collected using prototype instrument. Wegener C, Heber C, Min K (2013). 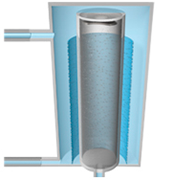 Novel Cell Washing Device Using Spinning Membrane Filtration. Cytotherapy. 15(4) S27. Abstract 86.